This week we celebrate the 50th anniversary of the first test flight of the Apollo spacecraft in October of 1968 -- Apollo 7 -- with the last surviving crew member, Walt Cunningham. After the tragic fire that took the lives of Apollo 1 astronauts Gus Grissom, Ed White and Roger Chaffee in January 1967, NASA had to completely redesign the Apollo spacecraft. Just over a year and a half later, the crew of Cunningham, Commander Wally Schirra and Donn Eisele took the spacecraft into earth orbit for an 11 day shakedown mission that tested all of the spacecrafts systems. While it was a complete success, there were problems. 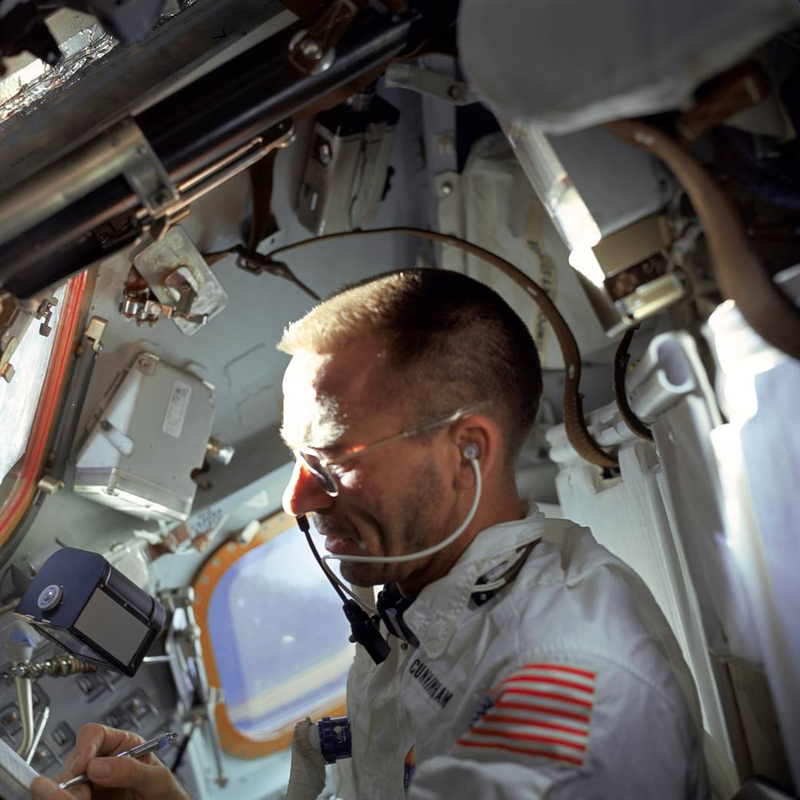 Notably, the commander, Schirra (the only astronaut to fly in Mercury, Gemini and Apollo missions) came down with a bad head cold and became quite irritable. After some testy exchanges with ground controllers in Houston, the mission became unfortunately known for being the first "mutiny in space." While that is certainly an exaggeration, there were tensions that played out during the mission and Cunningham candidly discusses them while also making sure that we know what a successful test flight the mission was from a technical standpoint, paving the way for Apollo 8's historic first flight to the Moon in December and of course the Apollo 11 moon landing in July of the following year. Walt's book The All American Boys is a candid and thorough look at golden age of spaceflight at NASA from an insider's perspective.